Module II-III-IV The cooling system of fermentation unitanks and service tanks – 1 set. Beer produced by breweries from TECHIMPEX company. The breweries produced by TECHIMPEX produce all types and brands of beer, except non-alcoholic beer. Besides, one type of beer, depending on the quantity and proportion of malt and hops, achieves various flavors, as well as the concentration of alcohol from mild beer varieties with low alcohol, containing of 3.3%, with average alcohol containing of 4.4%, to a sufficiently strong beer containing 8%of alcohol and for special request more. NOTE: Our brew master can develop other types of beer on your demand and taste. You provide only a few bottles of beer, which is popular in the specific region of your country; our brewers will conduct a chemical analysis of the samples and create a beer close to the taste of the samples. For transportation of the brewery BlonderBeer-250 are needed 31 trucks (height: not less than 2.95 m; width not less than: 2.43 м; length and not less than 13.6 m long) or 35 HC 40 ft. containers. Company Techimpex can arrange the transportation to the customer’s company for additional payment. 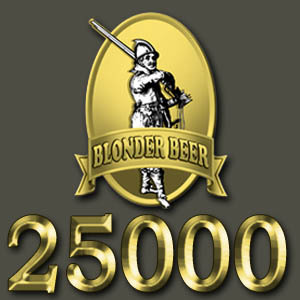 Installation and launching the brewery BlonderBeer-250 is carried by trained team of company TECHIMPEX in 30 calendar days. NOTE: included in the price of the equipment kit. OPTION 1. Company TECHIMPEX will send its experienced brew master for a period of 60 calendar days to your company after the installation and launching, for thorough training of your brewer to operate and service of the brewery. NOTE: This option of the training is included in price of the brewing equipment. OPTION 2. Company TECHIMPEX has a possibility to send its experienced brew master for a period from 2 to 6 months to your brewery enterprise, after it is launched, for more in-depth staff training. The cost of this service is 3500 euros per month, return tickets, accommodation and food for the brew master of the company TECHIMPEX. Delivery time after receiving an advance payment: 150 calendar days. Customer can make a list of brewery equipment set by himself, using the information about additional equipment included in the documents sent with the offer. To get a full offer and approximate scheme of the brewery arrangement, please fill up the form placed on the contacts page.